Choose a category to read album descriptions and listen to song samples. All albums are available for purchase through paypal. 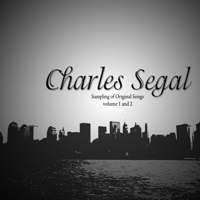 Charles Segal's music is now on iTunes. There are currently 72 songs available for purchase. This collection will feature 4 albums of music played in a relaxing and soothing style with sounds that are perfect for kids. Albums include, popular movie music, Disney favorites, pop hits, and classical piano songs. From Mozart to Britney Spears and Christina Aguilara, this collection has something for adults and kids alike. © Charles Segal Music 2013. All rights reserved.